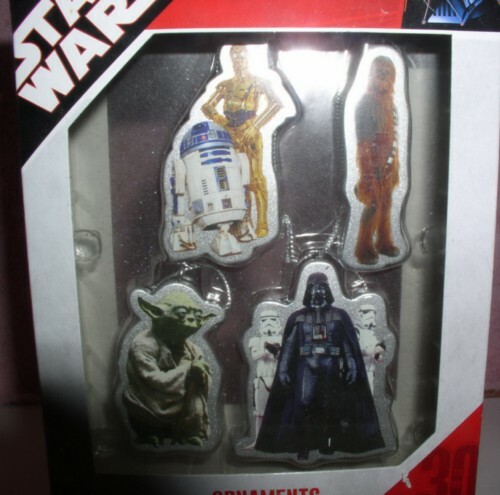 The 4 Star Wars ornaments are: Darth Vader, Yoda, Chewbacca, C3PO and R2D2. dated 2007 mint in the original box never removed from box. Approximate sizes: Yoda is 2 ½ inches tall the others are 3 inches tall. I believe they are made of Plastic.